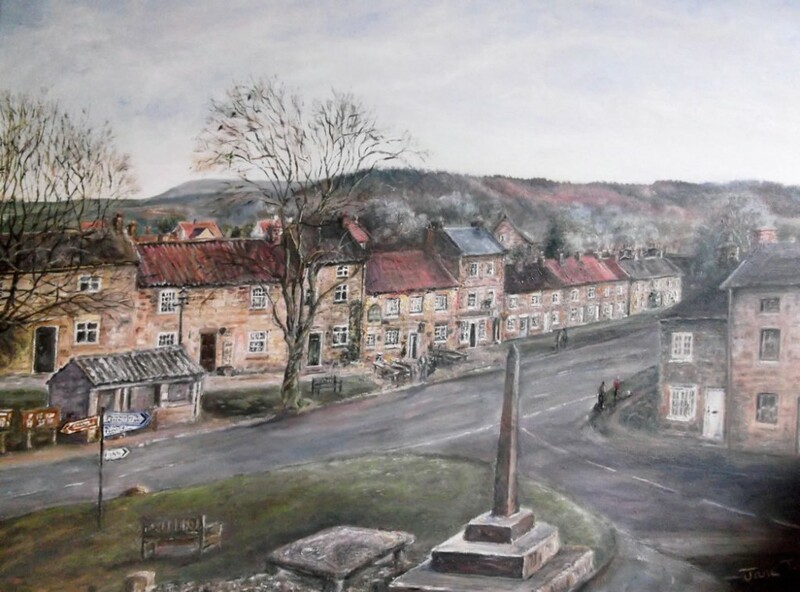 Osmotherley is the archetypal North York Moors village; streets with trees and grass to each side, a cross in the centre, a couple of pubs and shops, narrow passages running between the houses, and the odd hen pecking around. It stands at about 200m elevation on the western edge of the North York Moors National Park, with wide views across to the Yorkshire Dales. The village developed in the 1800’s as an overnight stop on the north-south drove road, and this location is responsible for its present popularity as a walking and outdoor centre; it’s the start (or finish!) of the famous Lykewake Walk, and on the Coast-to-Coast walk. To mention just a few of its many attractions, the village has three pubs, two cafe’s, a grocery shop, fish and chip shop, a village hall and a number of churches and chapels.